Buying a safe is not as straightforward as going into the store and asking, “what’s good”? There are some tips you need to be made aware of. Certain things may come as inconvenient truths, but getting the right type of safe for your needs relies on you being open to realizing you need more than you thought. Approach safe buying with an open mind, and the knowledge that a safe is always an investment. Once you are prepared to do that, these tips will guide you through the safe buying process. It is a good general rule to spend 10% of the cost of what you are protecting on the safe itself. Just for the mathematically challenged, if you were protecting $40,000 worth of valuables, you would want to spend (at least) somewhere around $4,000. Essentially remove a zero from the cost of what you are protecting, and keep your lowest budget around that number. This keeps you honest about the amount of money that is necessary to protect your valuables. If you are storing a million dollars worth of gold, you need to go to one of the best safe companies for a vault. You might not spend 100,000 dollars on a safe or vault, but that will be because after a certain point safes can’t get that much better. But this rule is more to illustrate when there is no way you should be buying a safe from any of the worst security companies around. Using a safe that cost you a couple hundred dollars to protect tens of thousands of dollars is not smart. Stay honest with your budget. Weight is an important factor in a safe for two main reasons. The first reason is just that a heavy safe is hard to move. It is physically more difficult to relocate the safe or even reposition it. The first way someone is going to attack your safe is just to take it and open it somewhere else. If they cannot take it, they will try to get it on its back so there is greater leverage to try and pry open the door. The second reason is that the heft of a safe does denote a certain amount of security. A light safe means that there is less metal content used in the safe’s construction. This is a big concern when you are looking at the differences between safes vs lockboxes. The thickness of the metal (also known as the gauge of the steel) is a determining factor between something even being categorized as a safe. The thickness prevents the success of cutting and prying, as thicker metal is stronger. Strength means more security against burglary. The gap between the door and the lock body is going to be the leveraging point that criminals will use to open your safe. It may also be the opening used to attack the bolts on the door directly (depending on the size of the gap). The tighter the door is to the body of the safe, while locked, the less chance there is for someone getting into the safe with brute force. If you are looking at fire safes, the gap is also a problem, as fire damage is not only about heat but can also be the accumulation of soot and ash. If you have any flooding risks or are worried about water damage, large gaps increase these risks dramatically. When there is a gap that allows particulates into the safe, there is a chance your valuables can sustain damage. While you are looking at the different types of safes, be sure that you pay special attention to how tight the door seals against the safe body. Some people are against the idea of bolting their safe to the floor, let alone putting the safe in the floor or inside a wall. But as was already mentioned, a criminal is likely to begin their assault on your safe by just trying to steal the entire safe. That is why you should consider some form of anchoring for the device. Much like the considerations for motorcycle security you need to think about the best way to mount the safe securely. This type of work is best to do at the moment of installation so that you will have all the tools needed to move the safe. But if you are planning to wait, make sure that you have everything you need, and that the safe does not need to be moved in order to anchor it. You might need to drill into the bottom of the safe for mounting holes or add cement to an area. Holes in the bottom of the safe should not be left without securing bolts for long, as these gaps can be exploited when empty. You also do not want holes at the bottom of a safe as animals, insects, and water can get into the safe’s interior. Where you have your safe installed may subject the interior of the safe to greater levels of humidity. But most every safe will have moisture concerns. And this will lead to issues with stored metal rusting. Make sure that you buy a product along with your safe that will regulate or at least measure the humidity. You can get a dehumidifier that does not need a power supply, but be sure that you stay on top of replacements and moisture measurements. This is not an issue for everything that you might need to store, and some climates might not have humidity as a primary concern. However, certain rooms might be vulnerable to this type of threat, even if the overall climate of the area does not have humidity concerns. Also, this type of weather can damage electronics and some paper documents. It is mostly thought of as a concern for gun owners, but humidity affects most things. Often a safe manufacturer will have several different lock options that you can use to equip your safe door with. The main consideration is whether you should choose the manual dial or the electronic lock. Things like key overrides should also be considered, but it is important to remember that every option you have of how to open a safe gives a thief more choices for how they can get inside. If you are worried about theft, be sure that you limit the number of ways to open your safe. With electronic locks, you can open the safe faster, but you will need to be aware of the battery life on the device. And if it is not EMP proof or it shorts out, you will have to deal with the fact that your safe won’t open. There are many more things that can go wrong with an electronic lock, but a manual lock takes longer to open. If you want to use a key, be aware that all locks can be picked. Everything has a downside, so know what you are buying and find out about the available options. When you are looking to invest in a safe, you need to already be aware of the different types of safes. Mainly you need to be thinking about why you are getting a safe. What is the type of threat that you are trying to mitigate by putting whatever you find valuable inside the safe? This will do most of the deciding for you as to what kind of safe you should invest in. Burglary rated safes do not take the same things into consideration as fire rated safes, and vice versa. And you are unlikely to get both types of protection without seeking to purchase such a product. No matter what you want, be sure that you see how the safe was tested. Knowing the methodology is extremely important, as testing can get a bit deceptive. Look for the type of stress and how long the safe was subjected to that stress. For fire rated safes they mess with the variables so that a safe is kept at a cooler temperature, but for a shorter amount of time. 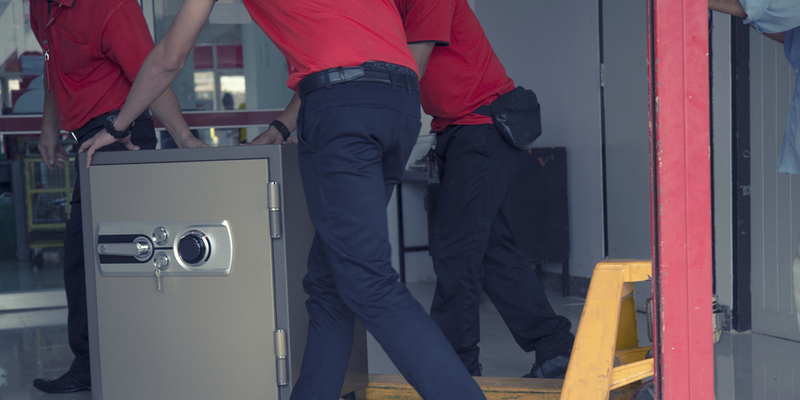 When it comes to burglary ratings, many companies do not test the safes against the most common methods of forced entry. When you first buy your safe, it is important to ask for some key information. First and foremost, you want to know how to open your safe. Not just the combination, but how to input the combination and even how to change the combination. Make sure that you document all of this type of information so that you can keep it on hand. This allows you to better trouble shoot the safe if you ever have an issue. This also takes care of the looming concern that you might have forgot your safe combination. The more you know about your safe and how to open it, the less chance there is that you will need a locksmith to open your safe. Documentation is key. And it might help the generations to come because a quality safe can outlast its users. Many inherited safes encounter issues with this type of thing because there is no detailed information about the safe or its combination. There are different security, accessibility, and damage concerns for different items you might put in your safe. The type of safe you buy and where/how you install it depends a lot on what will go inside. And beyond what you are putting inside, you have to factor in your relationship to those items. The biggest relationship question, is how often do you need to access the contents? And will this opening be done in times of distress or set times of the day? If what you are storing might need to be accessed at all times of the day, or it is going to be installed in a dark room, you will need to install a light inside the safe. Something like the lights made for gun safes are great, as they are meant to allow you to see well enough to interact with a firearm while in darkness. But the most important part of knowing what you are storing is that you do not start remembering everything you value only after you get the safe. Think about the things most people forget to secure before you invest in a safe. Security is about layers. It is not enough to just have a great safe. Even if you learn the things you didn’t know about safes, there is no way to make any one security device foolproof. Think of your protection as an intricate web. All of the strands come together to form a structure that your safe will rest on. At the risk of mixing metaphors, the safe is just the cherry on top of the security Sunday. There need to be security measures criminals encounter before they ever even have a chance of viewing your safe. You still want to use the best front door locks on your home. And you certainly do not want to leave your windows vulnerable to criminals. Just because you have a safe, it does not mean that you are going to avoid being targeted by thieves. Even if the safe is left alone during a break-in, you cannot put everything you own inside the safe. You cannot even put everything that you value inside a safe. There are plenty of expensive items that you use on a regular basis or must be kept out because their only purpose is decoration. So you need more security than just a safe. When you follow these ten tips for buying and installing a safe, you can be sure that you are getting a safe that is going to protect you better than anything else on the market. Just reading these tips is not enough. You need to put these words into action. Get on top of your security and follow these tips to be better protected. It takes a lot to buy the proper safe and install it effectively, but the more you know, the better.